ABOVE: The living room of the Cross House, December, 2014. I always thought it odd that none of the rooms in the Cross House had a picture rail. Wasn’t this de rigueur for houses of the period? 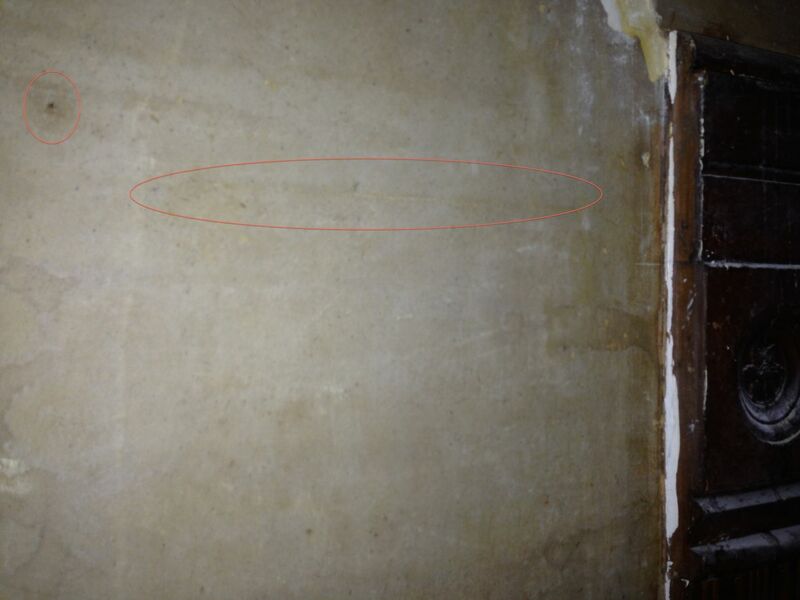 ABOVE: The large oval marks the faint line where the bottom of the picture rail was. 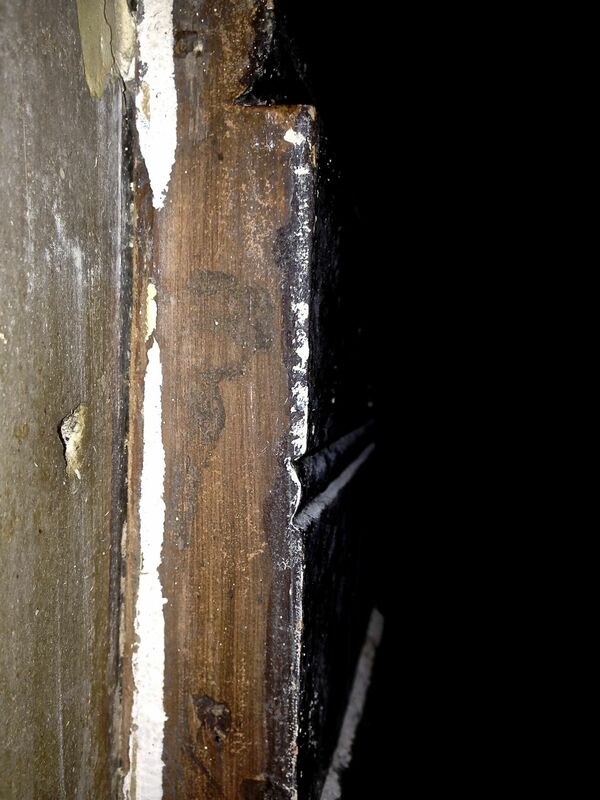 The small oval is a hole where a nail would have held the picture rail to the wall. ABOVE: At the side of each piece of door and window trim, up high, is the tell-tale shadow of the picture rail. So, I did have a picture rail. I am so relieved. I was beginning to worry that my house was improper. Oh the horror! The horror! So fun to read. Stripping layers of wallpaper is no fun, I have done it. But I am sure the discoveries under it all are making it much more rewarding. It is great to read about all the surprises you re uncovering (speaking tubes, ice box room, wallpapers). I love your recent posts! As a house restorer/archaeologist, have you run across any personal artifacts or other ephemera in the Cross house? My mother recently gutted the kitchen in her WWI era home and a recess in a wall produced a small cache of long lost photos. Fascinating stuff. And that shadow even gives you the proper profile for your picture rail! Architectural archaeology is so always fascinating. It would seem unlikely that they would go through the expense of wallpaper in the entire house and leave out a detail like that! Quick – take some of whatever you were smoking in your last post and you’ll calm down. 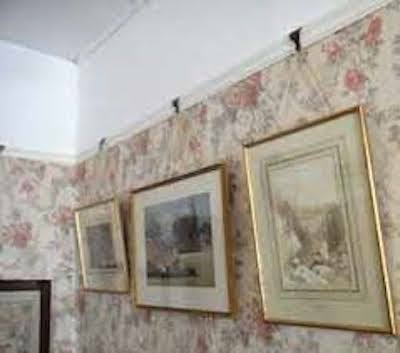 Do you have plans to replicate the picture rail? 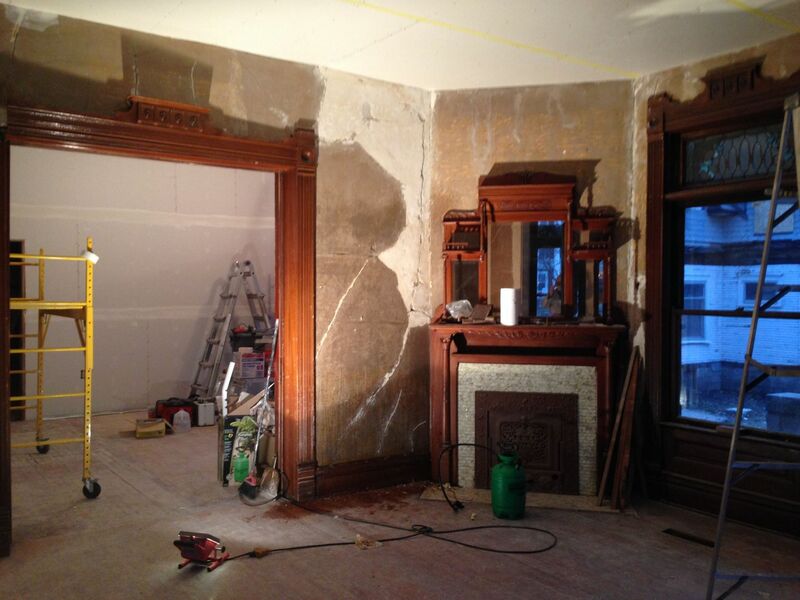 It looks like yours was very ornate (to compliment the rest of the millwork, of course). The shadow lines on the door and window casings look strong enough to arrive at a pretty accurate reproduction. We have the original picture rail in our home (1912 Foursquare). It’s very handy not needing to punch and repair holes whenever you want to move a picture on the wall. Oh yes, all the picture rails will be going back. It just ain’t proper without ’em!